Data on August housing starts and building permits that the Census Bureau released on Tuesday show a mixed outlook for residential construction. Single-family starts dipped 1.4% from July’s level and 2.3% from August 2010; permits, a reliable indicator of near-term single family construction, rose 2.5% and 2.0%, respectively. Multifamily (two or more units) starts dropped 13% and 14% but permits climbed 4.5% and 22%. The outlook for retail construction remains bleak. Major national retailers at AGC’s Public-Private Industry Advisory Council meeting on Friday reported they expect to spend more on distribution facilities in 2012 than on new or remodeled stores as they consolidate and speed deliveries to stores and respond to growing online orders. Other chains continue to give up or market existing space. “Sears Holdings Corp., whose sprawling stores are laden with extra space, is aggressively marketing itself as a place for other retailers to set up shop,” the Wall Street Journal reported on Friday. “Through its real-estate arm, Sears…has listed on its website nearly 4,000 of its namesake and Kmart stores that have space for other merchants or retail operations to lease.” Retail sales at most categories of stores other than gas stations and auto dealers rose roughly 5-6% in the first eight months of 2012 compared with the same period in 2010, while sales of nonstore retailers (online and mail-order) jumped 13%, the Census Bureau reported on September 19. Online sales are one factor stimulating warehouse and industrial construction. “Signs of the market’s growth are apparent in the New York area,” the New York Times reported on September 14. In “Edison, New Jersey, the J.G. Petrucci Company is building a 570,000-square-foot warehouse even though the developer has not lined up a single tenant….In Robbinsville, N.J., [Matrix Development Group is] constructing a 150,000-square-foot industrial building for the beverage distributor Ritchie & Page[. But] smaller properties are languishing…‘because banks aren’t lending, and people have no equity in their homes to take out second mortgages to finance new businesses,’” said Jack O’Connor, a principal and director of the national industrial practice group at Newmark Knight Frank in Long Island. “Ports also play a role in industrial real estate, and in New Jersey investors are making big bets that port business will increase,” the Times article reported. “This is in part because of a $5.25 billion project to widen the Panama Canal by 2014. The widening will allow large cargo ships that currently anchor in California and use trucks or the railroad to move goods to the East Coast to sail directly to New Jersey….To prepare for an influx of larger ships the Port Authority of New York and New Jersey plans to raise the Bayonne Bridge by 2016. [The Port Newark Container Terminal] agreed to invest $500 million in capital improvements.” Other ports on the East and Gulf coasts are also investing in port, rail, road and warehouse construction, while West Coast ports and railroads are trying to improve transfer and delivery times. “Union Pacific plans to invest approximately $3.3 billion in capital during 2011,” the firm reported in a press release on Thursday. “Some say…the Bakken shale formation, a 15,000-square-mile oil field straddling North Dakota and Montana and producing 300,000 barrels per day of crude oil…expected to increase to 1.2 million barrels per day by 2015” is “the biggest construction project in the U.S.—a job requiring $8 billion in rail and fuel terminals, oil pipelines, natural-gas plants, oil wells, highway upgrades, water distribution systems and more,” Engineering News-Record reported on September 19. “The number of construction projects, speed of growth and cold-climate challenges are mind-boggling." In this economy, all firms are on a constant hunt for new projects to bring into the office. Not surprisingly, because of this, many A/E/C firms follow a Go/Go procedure with their RFP! In other words, they go after every RFP that comes in regardless of project/client type appropriateness, timing, or availability of staff. No one wants to be the person turning away leads and projects! But you MUST resist the temptation to go after every RFP! - Is the client a “strategic client?” Strategic clients clients are important to the overall success of your firm because their work will support your growth strategy or some other business imperative. When you consider an RFP, consider the role this client and this project would play in your ability to achieve your strategic goals. Always give “strategic clients” a go. - Is working on this proposal going to take time away from producing another quality proposal? Consider the time and money you will need to invest in preparing a proposal. You need to pick and choose the proposals you know you have the best shot at winning. It is better to concentrate your efforts on a few quality proposals than do a mediocre job on a lot of proposals (believe it or not, clients can tell when you “phone it in”). If your current hit rate is far below the national average of around 35 to 40 percent, you’re not being picky enough. - How wired are you to win this proposal? Have you done work before with this client? Do your Principals have a good relationship with this client? Have you laid down the appropriate Business Development contacts with this client? If you answered NO to 1 or more of these questions, respectfully decline the RFP. Chances are there is another firm with a better connection /relationship to this client who is going to win the job. You have a better chance of winning a proposal if you have already established a relationship with the client 6-12 months in advance of an RFP arriving in your inbox. If you turn this into a go, you might as well throw your proposal in the trash. - Are we uniquely qualified with similar project experience? In this economy, you might be tempted to branch out into a new project type or market, but doing so can be extremely risky. With competition being so fierce out there, there are bound to be more qualified firms pursuing the project – to most clients, experience counts a lot. Stick to what you know and try to find more opportunities within your firm’s niche. - Do you know the client’s hot buttons? You might not be able to learn everything you need to know about a client or a project just by reading what they say in an RFP. The most valuable information typically comes through your direct relationship with your client, through your marketing intelligence, or through reading between the lines of an RFP. Your proposal should be uniquely written and targeted to talk about how you are going to solve their specific problems. If you don’t know your client’s hot buttons, you don’t know them well enough to submit a proposal. One important aspect of marketing is knowing when and how to turn work down. Although you may be tempted to say “Yes” to every RFP, remember to check the criteria above before you start any proposal. Remember, healthy firms say “NO” when work is not in line with their own focus and vision. To learn more about how to establish a proper go/no-go process and increase your proposal hit rate, join PSMJ this fall for our Winning Proposals and Presentations seminar, coming to 5 locations across North America. Get the tools and confidence you need to succeed in bringing in more work for the firm – register today! PSMJ’s Webinar Membership: Online learning just got a little easier! Get a year of webinars for one low price with PSMJ’s Webinar Membership Package! 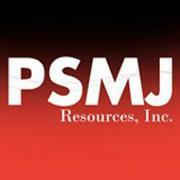 At PSMJ Resources, we are committed to dramatically improving business performance of A/E/C organizations worldwide by empowering CEOs, Principals, Project Managers, Marketers, HR Directors and other top firm leaders to make strategic and tactical improvements that pay off with great speed in measurable ways. With our industry experience, and commitment to program and product excellence, we continuously strive to teach you new ideas and trends, as well as continuing to offer the proven concepts that have long endured in the architectural, engineering and construction industries. One way to deliver these new ideas and trends is through our innovative, up-to-the-minute webinar presentations. Since we started our webinar program in 2009, we have instructed thousands on green design, mergers and acquisitions, public sector marketing, employee engagement, innovations in project management, and many other topics. Now, we are pleased to offer you an opportunity to view one whole year of webinar learning for only a fraction of the cost of attending each one individually! Purchasing an annual subscription allows you to view our live seminars every month, and catch up later on the ones you can’t see live! As a member, you will have unlimited access to view these webinars time and time again, and for each webinar you view, you will earn 1 valuable continuing education hour towards your recertification! You will be automatically registered for the webinars currently featured in our 2011-2012 webinar schedule. You will receive a reminder from our education department about your upcoming webinar, including a link to log into the webinar. After the webinar date, you can request a link to the presentation if you missed the live event, or you just want to see it again. Right now, if you were to purchase all of these webinars individually, it would cost you $249 per webinar ($149 for newsletter subscribers) or $2,988 total ($1,788 for subscribers)! For only $695 (or $395 for newsletter subscribers), you can get all 12! Now, we think that is a great deal! Every webinar on the slate is one that will dramatically increase your profits, improve your strategic thinking, and make you a better leader. Even if you can only justify needing to see 3 of these webinars, this membership will STILL pay for itself! Becoming a PSMJ Webinar Member is a no brainer! Sign up todayand enjoy your first webinar, Integrated Project Design on October 18, 2011. All five of these causes can be managed, particularly if they are recognized early in the project delivery process. The key here is to initiate the process early, monitor progress regularly and take aggressive corrective action when appropriate. • Environmental. There is a prescribed process for complying with the environmental permitting process. Although broadly based on the NEPA process, the various Corps Districts have developed their own implementing processes and consequently, timelines. Establishing and maintaining liaison with the local Corps District office can determine the processes and timelines. • Utility coordination relocation. Utility companies will, of course, be responsible for the relocation. These companies, often quasi-public, are typically understaffed, have their own capital program and relocation for a public project is simply a distraction. Early identification of utilities and proactive interaction with utility companies can help smooth the process. Railroads are particularly problematic. Across all of North America railroad permitting is a common challenge. Although the railroads have a process for working with public agencies, these same agencies regardless of whether they are state or local consistently report that railroad coordination takes inordinate time, costs excessively and remains a challenge. If a project requires coordination with a railroad, allow substantial extra time and budget. • Rights of way. Acquisition of rights of way for public projects must, by law, follow an established, prescribed process. Much of the process has timelines attached to it that cannot be shortened. Again, recognizing and respecting the process and understanding the time that right of way acquisition takes can help prevent unanticipated delays. • Political/public acceptance. A fundamental truth about political and public acceptance is that it is subject to change. A project that is needed and even clamored for can suddenly fall from public acceptance. Thus a proactive outreach program, encompassing both public and political interests, is essential. Be careful with timing, any public outreach occurring during election season can, and probably will, become a campaign issue. This is not a comfortable place to be! These risks have much in common— they involve coordination and the cooperation with other individuals and agencies unmotivated by the mission to build the project. Thus common rules can be followed. Start early, allow time, respect the processes of the other agency, provide for a contingency in both schedule and budget and don’t shortchange the underground investigation. For more project management tips, come to PSMJ's A/E/C Project Management Bootcamp, the world's most successful PM training program in the industry! This Bootcamp is a revolutionary training like no other--through interactive case-studies, real-world examples, and proven solutions, you will foster innovation, elevate communications, increase productivity, and improve your firm's bottom line. PSMJ's A/E/C Project Management Bootcamp can instantly and dramatically improve your ability to manage projects for quality, speed, and profitability. Click here to order or contact PSMJ Education Department at education@psmj.com or (800) 537-7765. FSC Architects & Engineers, based in the Northern Canada city of Yellowknife, has signed a letter of intent to join North American design firm Stantec. With more than 70 employees in four office locations, FSC is the largest multidisciplinary consulting firm headquartered in Northern Canada. Founded in 1976, FSC Architects & Engineers is a professional consulting practice with a special interest in cold-climate and remote-location architecture and engineering projects. FSC provides services and expertise within architecture, mechanical, electrical, civil/municipal, structural, and environmental engineering for public and private clients. Most risks are foreseeable and responsive to thoughtful project management. • Accept only the right clients, then the right projects. Require a retainer from new clients to be credited to the last invoice. A retainer larger than the maximum anticipated WIP and Aged AR may be appropriate. • Risk reduction by any means is usually superior to any management scheme. Identify workable systems as early as possible. Stick to projects you understand and let your ability determine what you attempt. Learn from challenges with similar projects and clients. Use detailed planning to enhance understanding. Avoid unconscious execution via custom and tradition. • Clearly written agreements are essential. Agreements that are legal, effective, and achievable are even better. Define effort and actions from your perspective and performance criteria from the client’s point of view. Specify client responsibilities as well as your own. Break the scope into manageable chunks to form natural firewalls that limit how far things can go wrong. Require client approval of each critical decision before starting the next step. • Manage expectations more closely than schedule, cost, and scope. Educate the client to make better team decisions. Under promise so you can over achieve. • Ensure the right team is really available before issuing the proposal. Be cautious with inter-departmental sharing. Treat adjunct and borrowed staff at least as well as “your own” to keep them engaged. Build a reserve posse outside your usual project team to accommodate sudden demands. • Lead your people effectively and the project should follow. Value individuals and interactions over processes and tools. Be results oriented, listen well, empower, and provide clear unwavering vision and strategy. Construct mentoring opportunities around project goals. See and be seen. Visit the job site often. Experience the project first hand. Ensure safety and quality are being practiced effectively. • React to change in real time. Use evolutionary methods. Issue timely change orders (even if there is no cost) to support an iterative and incremental approach based on customer collaboration rather than contract negotiation. Test your understanding by re-planning when necessary. Vigorously protect the most important member of the team, you. Set strict criteria to guard against your own ego and over extending yourself to take on too many challenges. For more tips on how to mitigate risks with great project management skills, attend PSMJ's A/E/C Project Management Bootcamp, the world's most successful PM training program in the industry! This Bootcamp is a revolutionary training like no other--through interactive case-studies, real-world examples, and proven solutions, you will foster innovation, elevate communications, increase productivity, and improve your firm's bottom line. Hear why Dave Burstein thinks you should attend Breakthrough 2012 in October! Do You Think You’re Going To Live Forever? 1. In 2/3 of firms under 50 employees, the founder still owns most or all of the firm’s stock. These firms will find it increasingly difficult to affect a satisfactory ownership transition as the founder gets closer to retirement age. 2. In over 40 percent of firms under 250 employees, authority is still based mostly on the amount of stock owned rather than organizational position. These firms will find it increasingly difficult to grow and prosper. 3. Less than half of all firms have an ongoing ownership transition plan that is working smoothly. With most owners in the Baby Boomer generation, the lack of a good ownership transition plan means that the current owners won’t get the full value from their stock when they finally sell it. 4. Most firms (56 percent) have identified future leaders but 1/3 of these firms have no leadership development program of any kind. This is increasingly frustrating to the future leaders of these firms. And they will be ill-prepared to take over when the current generation retires. 5. Only 17 percent of firms assign future leaders to temporary positions in order to broaden their experience. These firms will find that their future leaders have serious gaps in their knowledge base that will prevent them from successfully taking over their firms from the retiring generation. If your firm falls into any of these categories, you need to attend one of PSMJ’s upcoming Ownership and Leadership Transition Planning Roundtables. PSMJ is holding two Roundtables this fall on each coast for the leaders of today's A/E/C practices just like yours – October 24-27, 2011 in Miami, FL and November 7-10, 2011 in San Diego, CA. Let PSMJ walk you through a structured, logical approach to developing practical planning tools, and help you avoid the pitfalls to set your firm on the right path to a successful leadership and ownership transition. Do You Have A Disaster Response Plan? 1. Talk and listen openly, honestly, and frequently with your client and team. Seek first to understand the facts and the situation. Then, lead decisively. 2. Minimize unnecessary effort/cost. Practice triage. Focus on what matters most. Conserve your time for the most essential decisions. Read the contract closely. Do no more than you must, no better than you must. 3. Renegotiate commitments when they cannot be met or actual conditions are significantly different from expectations. 4. Stop work: temporarily to avoid making conditions worse or permanent if there is no way you can execute the project successfully. Recognize reality and consider termination terms. Understand the most brutal facts. What will it take to make this project right? Are you certain? Determine the full cost of termination, not just returning any fees that have been paid. Are your reputation and this client worth the cost? 5. Start damage control promptly. Notify your insurance claims management team and get legal help before claims are made. 6. Never lose your cool, integrity, or sense of humor. 7. Once you have paid the tuition, be sure to get the education. Perform a frank, open, and blame free autopsy with your team so you can be better prepared before the next disaster occurs. Learn more tips for what you need to do when you face a disaster (and what to do once the damage has been done) at PSMJ's A/E/C Project Management Bootcamp, the world's most successful PM training program in the industry! This Bootcamp is a revolutionary training like no other--through interactive case-studies, real-world examples, and proven solutions, you will foster innovation, elevate communications, increase productivity, and improve your firm's bottom line.